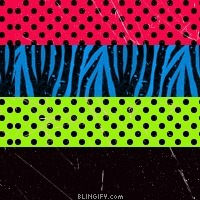 Blingify your Facebook Profile Cover for the new Facebook Timeline, Get Tumblr Layouts, Photo Effects, Free! Step 1: Right-Click and save the image below to your computer. Step 2: Click here to edit your Tumblr Appearance. Step 3: Click "Appearance" scroll down to Background Image and browse to the image you saved above. Step 4: Click "Save + Close"
Step 2: Click here to edit your Twitter Design. Step 3: Click "Change background image" and browse to the image you saved above. Click "Tile Background"
Step 4: Click "Save Changes"
Step 3: Click "Change" Click "Type a URL"
Step 4: Paste the 3.0 Background URL & click "Done"
Set this as your google background!